BNY Mellon’s presence has grown to include the Hong Kong Branch, which has been in operation since 1984, as well as a locally incorporated Investment Management entity. Hong Kong now serves as the Asia Pacific Regional Headquarters with over 200 employees. 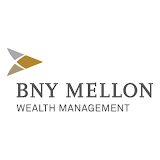 As the investments company for the world, BNY Mellon specializes in providing investment management, wealth management and investment services, helping our clients meet their needs throughout multiple investment lifecycles.